- Subic Bay - Hazy view of Subic Bay a former U.S. 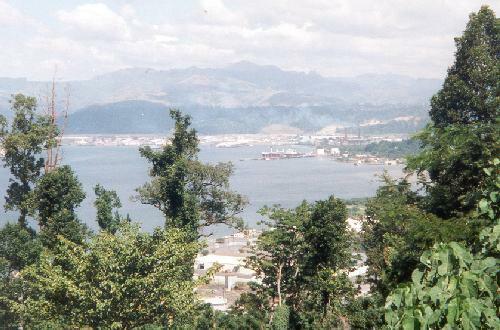 Naval Base and now a special import-export processing zone known as the Subic Bay Municipal Authority. 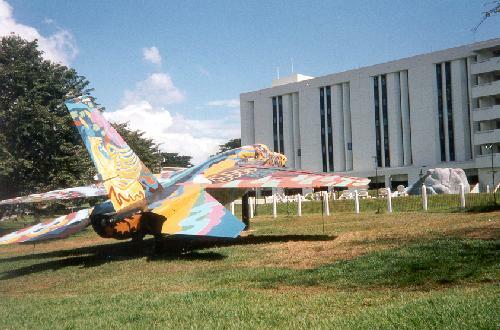 - High-Flying Art - Vestiges of U.S. military presence are turned into whimsical art pieces in the old Subic Base. 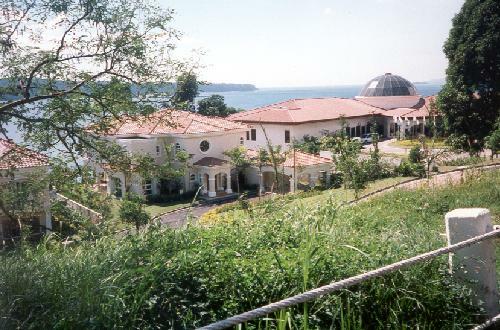 - Waterfront Villas - Typical middle-class homes ... actually these were built to house the foreign ministers, including President Clinton, during an APEC conference held on Subic. 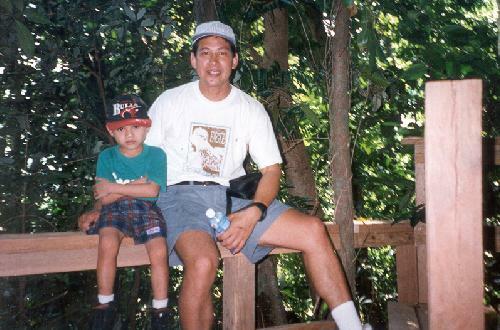 - Jungle Hangout - The jungles surrounding Subic were training grounds for U.S. Marines. Members of the local Aeta tribe would teach survival skills under the auspices of "JEST" Jungle Environment Survival Training. Nowadays they provide demonstrations and ecotours for noncombatants.